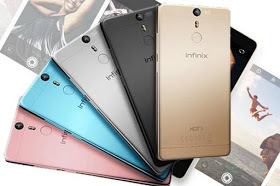 Finally, the long awaited infinix hot S is now available. Many people have actually been anticipating this device since it's full specification was officially announced almost two weeks ago. Aside being the latest device from infinix, this is actually the first infinix mobile phone to come with a finger print scanner and also the first to feature the new infinix XOS UI. The device which runs in the new infinix XOS UI based on Android version 6.0 Marshmallow has a 5.2 inches IPS Full HD display with a resolution of 1080 by 1920 pixels and a pixel density of 424 PPI. 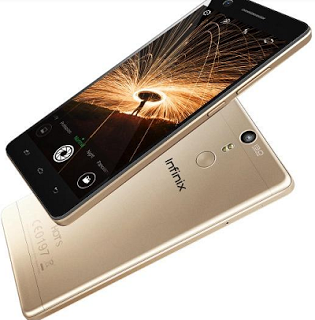 The infinix hot S which promises to be a very fast and powerful is powered by mediaTek MTK6753 octa core processor with a clock speed of 1.5ghz. Also for better multitasking, the hot S will be available in both 2gb and 3gb RAM variants. The internal storage is also available in 16gb and 32gb variants which can also be further expanded with up to 128gb sdcard through the dedicated micro SD slot. It also features a 13mp rear facing camera with auto focus and dual flash. Also for the selfie freaks, you get an 8mp front facing camera which is also equipped with a single led flash and a120° wide angle shot for the selfie. Infinix have stepped up their game in terms of security feature with this device by introducing the finger print scanner for better security. It is also packed with a 3,000mah lithium polymer battery. You can check out the key features below. To purchase the infinix Hot S, just click on this LINK.